Why Malaysian Riders Moving to Cinematic Storytelling? Dream; it is something of a human nature to dream about getting somewhere, having something or even being someone. The sheer strength of a person’s dream can lead to something wonderful and even change the world. It was not too long ago that Malaysian Riders started as just a dream, a dream from a group of people to create something that is useful, memorable and most importantly a pride to those who believes our cause. This is the stance that we took, to champion the idea of motoring and motorsports passion from Malaysia to the world. We were called upon ourselves to share a story about a young man’s dream; to leave a mark in the world of motorsports. A young Malaysian who challenges the idea and the status quo by chasing his dream through his own effort. An effort that is beyond the norm of our society and culture. Harish Nayar, a name you probably haven’t heard of before; a name that is not sitting high in the top of our minds when discussing about motorcycle racing. Yet the young man pushes himself to the furthest that he possibly can, aiming to break the barrier of Malaysian motorsports. No he is not a champion yet. No he does not carry a big brand on his chest and most certainly; he’s not ranked as Malaysia’s next big thing. As a young man with a dream to be one of the best in Malaysian motorsports industry, Harish started his racing journey by competing in the local series like many others. But his path, started later than most professional riders out there; it wasn’t an optimal time for him to start, a little bit too old for it considering the industry’s standard. That however, did not stop him from believing that he can reach the highest level of motorcycle racing aside from MotoGP. He rode for the first time at the age of 13, while many others started as young as 7 years old or younger. At the age of 18 years old, he started racing and in the very same year he took 2nd overall placement in the Malaysia Superbike Championship riding a 600cc bike. All this might seems wonderful and impressive; but Harish knew it was only the beginning for his career in the world of motorsports. The challenges that lies ahead is enormous and only by carefully crafting his path; the young man can hope to achieve success in the realm of motorsports. He was never truly alone in this endeavor, family and close friends were always there to encourage and support him in this journey. 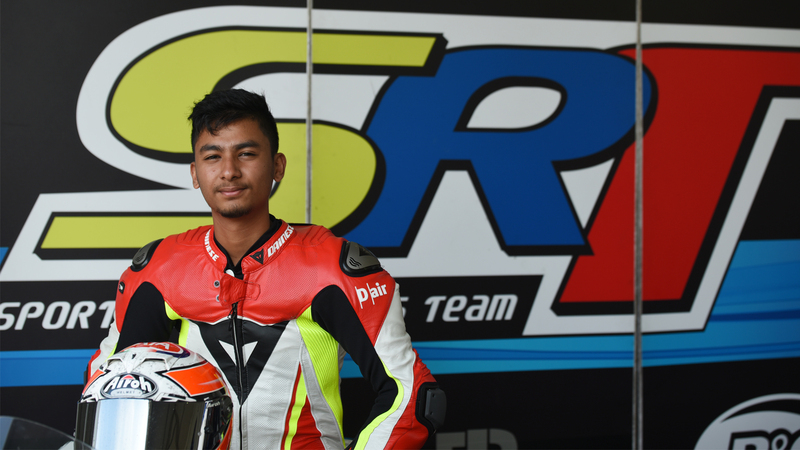 Malaysian Riders were somehow destined to cross Harish’s path and we took the chance to learn more from him and his support team about what lies ahead and how he hoped to overcome it. The plan is simple, get more racing under his belt and be at the very top of the table by end of the season. It sounded simple, but the level of commitment and investment needed by him is unthinkable and to really be successful is a whole different story. It’s amazing how Harish and his supporting team never seem to complaint about their struggles and difficulties in their work to achieve their objectives. They had worked very hard doing multiple jobs and getting support from friends and family just to have Harish on the grid in the next possible race. Between the end of June and early of July this year; Harish and his support team went over to Europe to appear in 2 wildcard races in Italy. 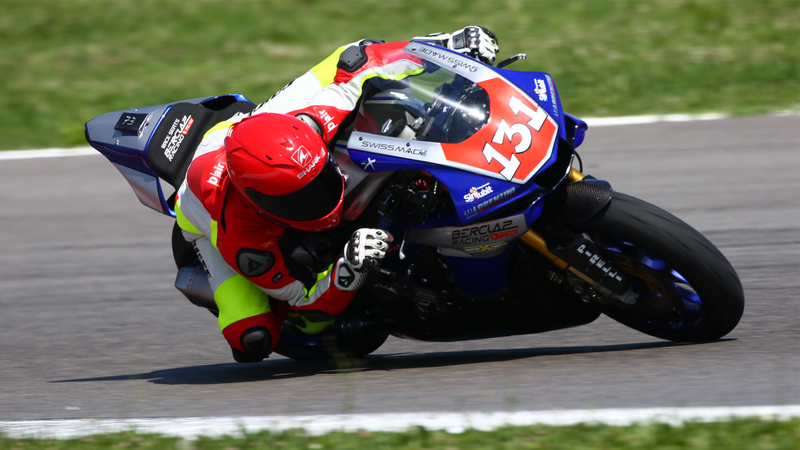 Riding on behalf of Berclaz Racing Team onboard a Yamaha R1-M, Harish manages to earn a great amount of experience and even finishing in the point scoring position in his final appearance. From what Harish shares to us, the short time he spent with the team over in Europe had given him a broader view on motorcycle racing and the business surrounding the sport. Both Harish and his support team returned home recently and practically had a refreshed view on how they will navigate their journey in local motorsports scene along with the plan to go abroad and start a full commitment of racing there. But this is just the beginning; this is only a small part of a broader journey for Harish. Only time will tell how he will fare in the industry and only he himself will be able to prove that it is possible to reach the highest level of racing through hard work, determination and sheer passion. Harish ends his conversation with us with a clear message, he wants to communicate more with people about his passion and dream, and he wants to represent the nation at the highest level of motorcycle racing. But he can’t do it alone, he will always need people to rally with his effort and for that; he’s constantly working to serve more people and more organizations so that when he’s there at the top, everyone can benefits from it.